Last week I had a give away—this week, my bread is returning! Kimberly (aka “ the boss”, even though I am no longer regularly working for her) returned from a 2 week vacation in Lisbon and rural Portugal. She had been saving up (that is she had been avoiding Knitting City) for some weeks before her trip, and 'budgeted' $400 for yarn. She came home slightly disappointed—She wanted to only by local or small brands—stuff that couldn't be found locally—but yarn, like McDonalds, is an international commodity- frequently made by large companies. There are so many yarns from so many countries, that are distributed internationally—it was hard to find something special and only available in Portugal. 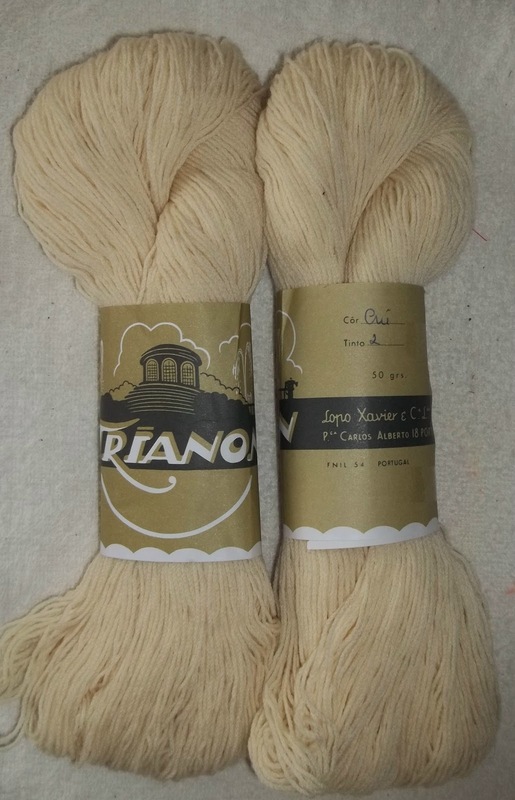 White, so I can dye it any color I want, and beautifully plied so it has a cord like texture—I want to find something that really shows of the crisp texture of this yarn! I suspect it's not superwash—but since I tend to wait till I have enough dirty socks to make a full load of wash, and then machine wash in cool water, with a gently cycle—I think even regular wool will be OK. I'd write about the progress I've made knitting, but half a heel flap and a single round of a shawl are hardly news worthy. 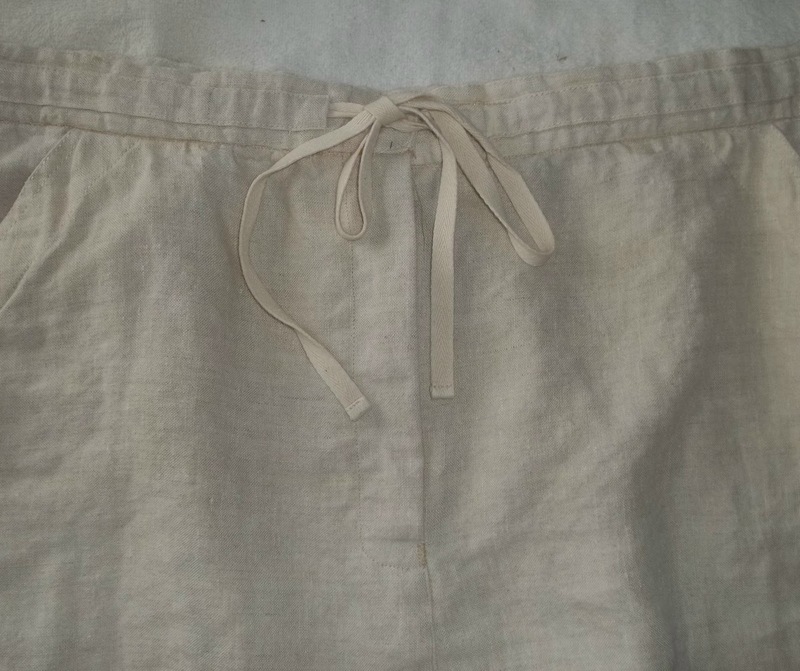 But I did take the linen skirt I disassembled last week, and trim 6 inches off it (Center front and center back because redoing the pockets was too much hassle) and re-assemble it. It still needs the waist button replaced, done --all the seams have been sewn, and it's been shortened and re-hemmed. In short, its a new skirt, ready to wear. To bad the super warm days of March, when there was an early spring, have been replaced with cool damp weather! It's rained almost every day (well part of every day) since May has started (we do need the rain!) and the weather feels cold. It's not really that cold at 62°/16°--but the dampness makes it feel so. But when there is a nice warm day, I have a great new, (well sort of) properly fitting skirt to wear. So with my walk and and sewing, and a few errands on my way to knitting at Manducatis, not much actually knitting got done—and once there, we all feasted at knitting. Erica—a former member was back for a visit (she's moved to Denver). We each order something different, and sampled each others choices—Everything was delicious—but Dana's choice of the veal tortellini were the best.